The latest 5G EVE deliverable, D3.1, describes the target capabilities that have to be supported and offered by a generic site facility operating in the 5G EVE framework, in order to enable its interoperability and interworking with the whole 5G EVE system. The definition of these target per-site capabilities has been initially driven by a deep analysis of the 5G EVE use case. 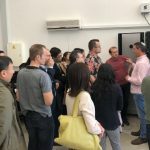 It has resulted in a consolidated list of technical requirements for the deployment, runtime operation and monitoring of these capabilities in the different sites by means of the 5G EVE interworking framework. 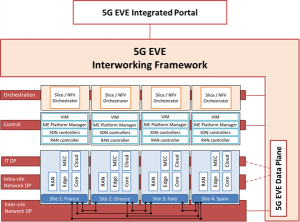 Based on this 5G EVE has defined a preliminary functional architecture for the 5G EVE interworking framework, which aims to achieve end-to-end integration of the four site facilities. The architecture consists of a set of crucial features, which are ensuring interoperability of validation services offered by the various 5G EVE sites. In addition, these features enable performing tests across several sites. In addition, the deliverable identifies an initial set of per-site technical recommendations and gaps to be considered for aligning current or planned facilities deployment and the target functionalities which should be offered by each 5G EVE site facility. Special attention is dedicated to the interconnectivity between different site facilities, which enables the delivery of cross-site 5G services. Deliverable D3.1 considers both the current status of the target sites as well as the plans for future deployments and extensions, in order to capture a complete picture of the capabilities supporting experiments on 5G services. Beyond the 5G EVE use cases, our objective is to cover a wider and more generalized scope to enable the future porting of further use cases on the 5G EVE platform. 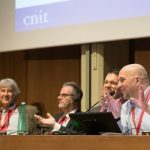 This approach will enable opening the system for additional vertical experimenters, beyond those already in the 5G EVE consortium, in support of more 5G use cases and trials of 5G-PPP projects from Horizon 2020 call ICT-19.